I’ve enjoyed this series from its beginning. It is becoming more involved as we begin book 3. No longer one Drakkon in the sky, but now four. Three are accounted for. Garion, the only Drakkon hatched from an egg, had to convert two descendants of the White Drakkon because they were on the verge of dying–Helena and her brother Jacob White. The White Drakkon are known for their peacemaking. Helena is Garion’s true soulmate as the stars can confirm. This happened in book two, so please do yourself a favor and start this series at the beginning. It will be more entertaining and you’ll have the answers to many questions as you read. This is Jacob’s story. He’s rather lost because he’s always hated the one remaining Drakkon who killed most of his family. But once converted the hunter became the hunted. Could the remaining people in the group, The Bane, find him, Helena and Garion to destroy them? Jacob has always had the urge to fly, it’s in his genes, so when the urge hits him, just at pre-dawn, he would soar with the stars. Jacob still finds something amiss in his world, a vacuum of sorts. He loves his music, but he no longer is part of the band. He meets a lass, in Drakkon form, River Wray. River Wray is special in her own way, her father insists he’s seen a dragon years ago. It made him lose his wife and the villagers think he’s deranged. The sky doesn’t hold just three Drakkon, there is another, a Red Drakkon, accidentally created, which puts lots of suspense and edginess to the story. He’s a ruthless Drakkon—the Red are known as warriors. Uppermost in my mind: Will he succeed in his goal ruling over the skies and humans? Author Paula Quinn builds her ever-increasing community of Drakkon with such dexterity, it all makes perfect sense. She gives the reader enchanting characters of some complexity and conflict, where you immediately side with their plight. 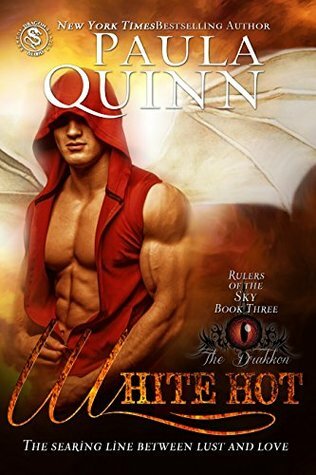 If you enjoy a good fantasy with shape-shifter dragons, pick up Quinn’s series. It definitely put a smile on my lips! 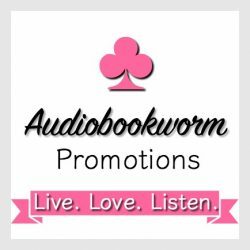 This entry was posted in Action/Adventure, Book Reviews, Fantasy, Fantasy Romance, Highland Romance, Highland Stories, New Book Release, Paranormal, Paranormal Romance and tagged Book Review, Fantasy Paranormal Romance, Paula Quinn, Rulers of the Sky, White Hot. Bookmark the permalink.